Historic Bridgetown’s irregular settlement patterns and 17th Century street layout of an English medieval type, in particular, the organic serpentine streets, supported the development and transformation of creolized forms of architecture, including Caribbean Georgian. Historic Bridgetown’s fortified port spaces were linked along the Bay Street corridor from the historic town’s center to St. Ann’s Garrison. The property’s natural harbor, Carlisle Bay, was the first port of call on the trans-Atlantic crossing and was perfectly positioned as the launching point for the projection of British imperial power, to defend and expand Britain’s trade interests in the region and the Atlantic World. Used as a base for amphibious command and control, the garrison housed the Eastern Caribbean headquarters of the British Army and Navy. Historic Bridgetown and its Garrison participated not only in the international trade of goods and enslaved persons but also in the transmission of ideas and cultures that characterized the developing colonial enterprise in the Atlantic World. My visit to Barbados was far shorter than I had hoped and my visit to this World Heritage site was also not all it could have been. My time in Barbados happened to overlap the Crop Over festival which is the biggest celebration of the year in the country. Normally, that would be a great thing, except that it screwed up my flights in and out of Barbados. I had a very tight deadline and several islands I had to visit, so my stay in Barbados ended up only being 36 hours. Most of Bridgetown was shut down so there wasn’t much to see in the city. I ended up visiting the garrison, which is a major part of the site and wasn’t really that impressed. Today the garrison is horse track and the buildings surrounding it weren’t that impressive. I think Bridgetown is worthy of a return visit at some point in the future. There is a big chunk of the site that I didn’t get to see because of the circumstances of my visit. The Historic Bridgetown and its Garrison is a cultural UNESCO World Heritage Site in Barbados. It was inscribed in 2011 as a colonial and urban landscape site. 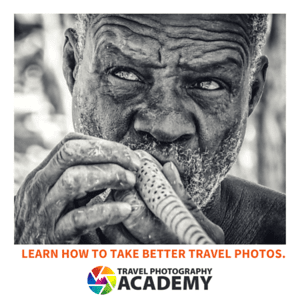 The World Heritage Site is primarily focused on the 17th-century British colonial city. The Historic Bridgetown and its Garrison encompasses the historic old town, along with the port and former garrison. The garrison was once the headquarters of the British Navy in the region. Bridgetown also served as the spot for the exchange of goods and slaves. Hence, it added to the cultural significance of this site. 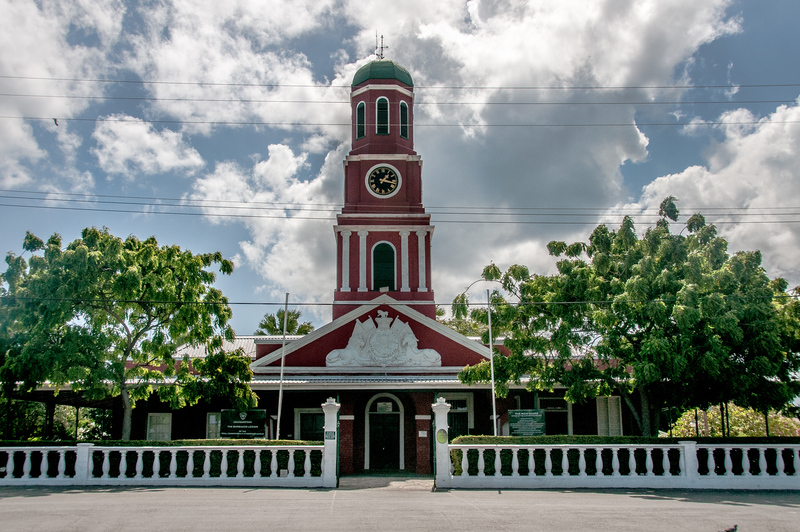 The Historic Bridgetown and its Garrison is a historical site and landmark. All of the components to this World Heritage Site belong to the city of Bridgetown in Barbados. There are two major components to this site: Bridgetown and “The Garrison”. Bridgetown is the capital and largest city of Barbados. It is commonly referred to as ‘The City’, or simply as ‘Town’. As of 2014, the city has a population count of 110,000. During the 17th century, the city came under the rule of the British Empire and there an English settlement was developed. During this time, Bridgetown was developed into the same street layout as many of the English medieval market towns. The city is characterized by its alley configuration and narrow serpentine street. The Bridgetown Port played an important role in the formation of the history of this city. This port served as an entry for cargo ships and cruises. In fact, it serves as a major hub in the Eastern Caribbean for shipments from all over the world. This port was part of the reason why the Historic Bridgetown and its Garrison was named as a UNESCO World Heritage Site. The Garrison Historic Area, also known as “The Garrison” forms the other half of the UNESCO site, Historic Bridgetown and its Garrison. This is a small district that encompasses the Garrison Historic Area that is located 2 miles south of Heroes Square. It is located within the city of Bridgetown in Barbados. 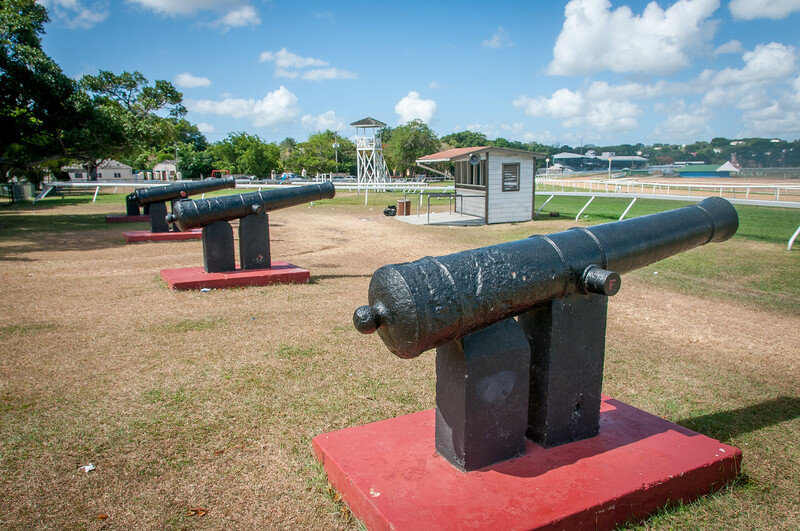 The area consists of a historic horse race track within a 30-acre parade ground known as Garrison Savannah. Aside from this historic race track, there are a few other historic buildings within the area including the barracks for military personnel. In the 18th and 19th centuries, the Garrison served as the base and headquarters for the British West Indies Regiment. George Washington, who was the future President and leader of the American Revolution, stayed at the Bush Hill section of The Garrison for 6 weeks to be with his sick brother during the mid-18th century. Today, this building is commemorated as the ‘George Washington House’. There are more historic buildings that are part of the protected area Historic Bridgetown and its Garrison, such as the main guardhouse, clock tower, Barbados Museum, and the Barbados National Cannon Collection. Visit my complete list of UNESCO World Heritage Sites in Barbados.